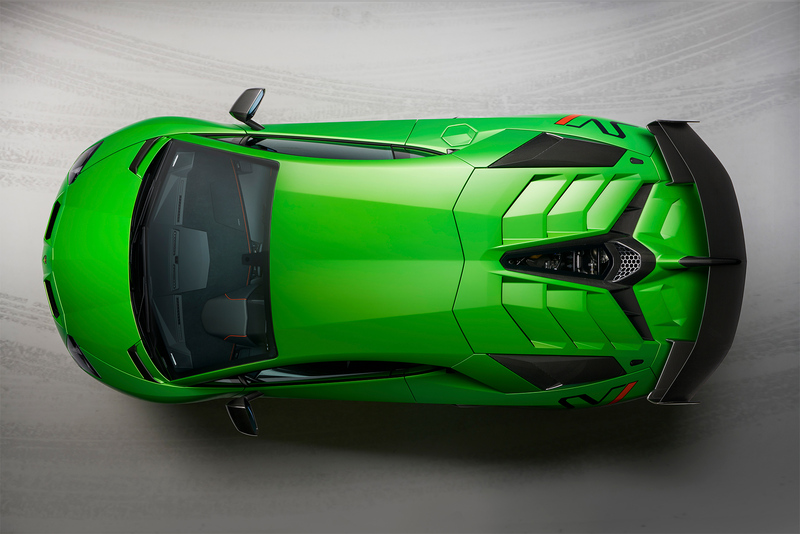 Lamborghini unveiled its limited edition Aventador SVJ at The Quail, A Motorsports Gathering during Monterey Car Week in California. Production is limited to just 900 units. 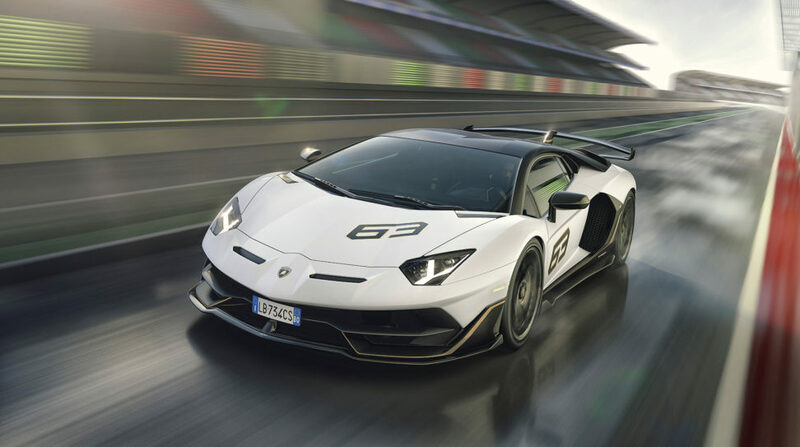 The Aventador SVJ (Superveloce Jota) has set the Nürburgring Nordschleife lap record for a production car completing the 20.6 km lap in 6:44.97 minutes. A special edition SVJ 63, was unveiled on the concept lawn at the Pebble Beach Concours d’Elegance. 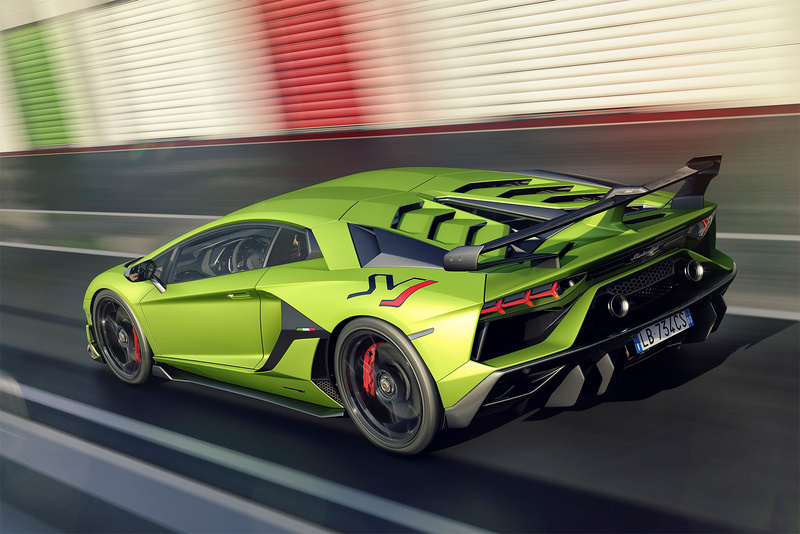 It pays homage to Lamborghini’s founding year of 1963: produced in a unique configuration, it demonstrates the use of carbon fiber and is made in an additional limited edition of just 63. The Aventador SVJ is the most powerful series production V12 engine car ever produced by Lamborghini. The V12 generates 770 hp at 8,500 rpm and 531 lb-ft of torque 6,750 rpm. All of that power and torque will launch the 3362 pound all-wheel drive hypercar from 0-100 km/h in just 2.8 seconds, with 0-200 km/h runs of 8.6 seconds. The SVJ has a top speed of more than 350 km/h and can come to a stop from 100 km/h in just 30 meters. The SVJ’s four-wheel drive system has improved torque split to maximize traction and agility, with the higher stability of the SVJ allowing a further 3% of torque to be sent to the rear axle compared to the SV. The rear-wheel steering has been developed to further improve the car’s stability while reducing braking distances, particularly in combined braking/turning conditions such as high speed cornering. ESC has been enhanced for improved cornering and driver experience in extreme handling conditions, and ABS has been specifically tuned for the improved grip provided by the tires and ALA system. 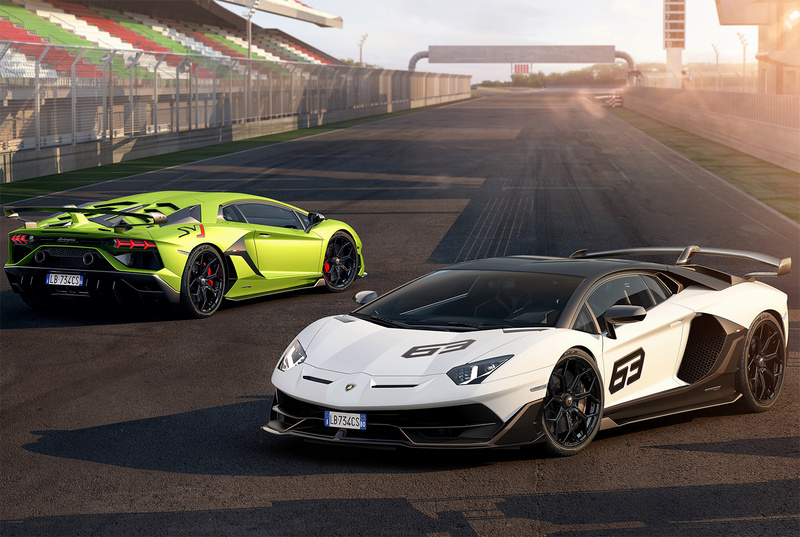 The Aventador SVJ is a driver-focused car, developed to maximize the union between driver and car in the most extreme road and track conditions and ensure the most rewarding experience. With Lamborghini’s three driving modes, Strada, Sport and Corsa, as well as the EGO option allowing the driver to further customize his preferences for car set-up, the cockpit features Kombi graphics on the TFT digital dashboard display as well as showing live status of the ALA (Aerodinamica Lamborghini Attiva) functions. The optional telemetry system records lap times and track performance as well as trip data, the telemetry system is especially appealing to the owner who wants to take his car on track. 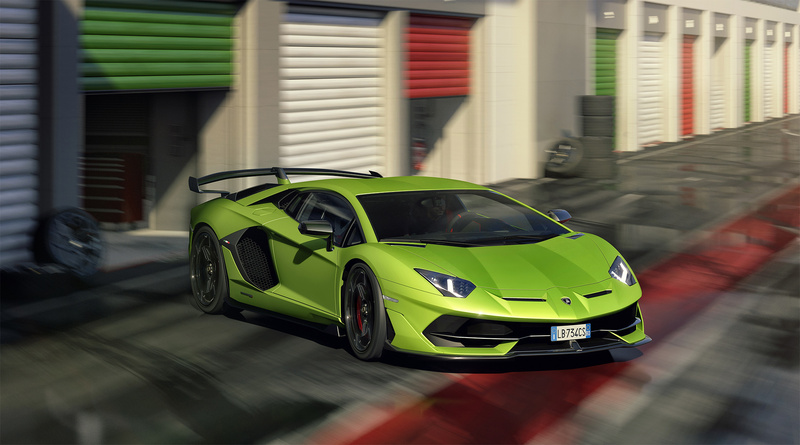 The first customers will take delivery of the new Lamborghini Aventador SVJ at the beginning of 2019 with suggested retail price of $517,770 USD or the equivalent of $670,000 CAD.